The world is at crossroads. Little is known about the question: how do we produce enough food to feed the entire world? 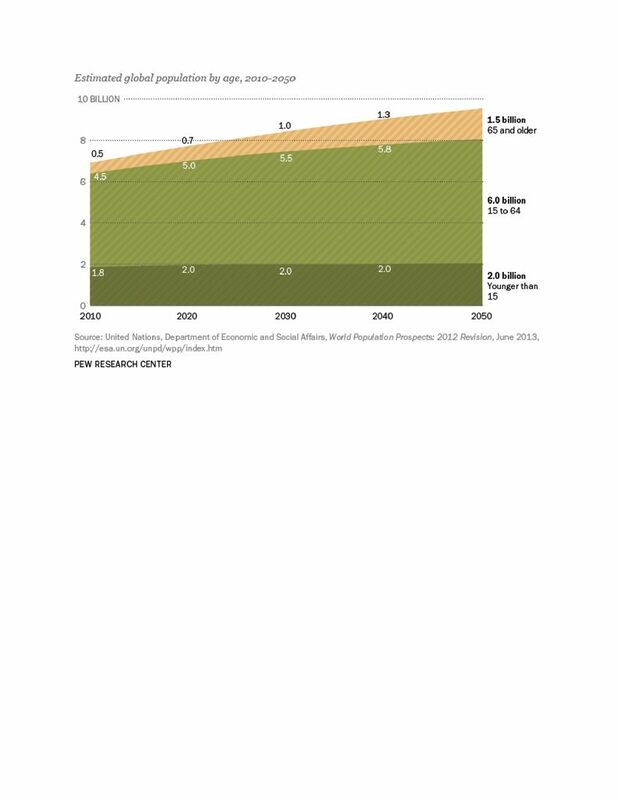 The population is projected to stand at 9.6 billion people by 2050. Interestingly, many, including renowned scholars, have deconstructed the problem to mean need for more food to feed the ever increasing human population. Not really. Think about it. The focus of this critique is not, in any way, to evaluate the competing voices on the pathways to sustainable food systems. Regardless of the divide—agroecology, conventional agriculture or the hybrid of the two—this paper adds its voice on the dilemma facing current agricultural extensions. There is a paradigmatic shift in the conversation within, across and beyond food systems in tracing pathways to a sustainable world; agriculture extension should do the same. The transdisciplinary approach is primarily an educational approach that is inquiry-driven and presents a systematic or humanistic vision and form of awareness that challenges habitually dualistic—that is, the intellectual capacity to understand “black and white” while missing out on the nuances between arguments—and simplistic thinking (Groschl 2016). For Professor Groschl, a key way to provide the capacity to effectively face this complexity is to confront students (agricultural researchers or program developers for our case) with different modes of thinking, imagining and feeling. This can help them to develop greater self-awareness, critical reflection and creativity, equipped with various frames of reference and with openness toward, and confidence in, engaging in changes needed to address global challenges in sustainable and responsible ways. The complexities that surround sustainable food systems are so broad in scope. They transcend a particular discipline or sector and imply that those interested in revitalizing agriculture have to provide pathways toward sustainability and study the overlapping disciplines across, within and beyond the food systems. A transdisciplinary approach has to be applied beyond curriculum development to help us understand some of the problematic challenges facing agriculture and food systems. Agriculture extension faces many barriers including cultural beliefs, gender inequalities, government policies, gender based violence, illiteracy, ignorance and lack of community participation, among other issues. These challenges are multifaceted and demand that the extension officers have a wide scope of knowledge beyond agriculture. Alternatively, it would compel agricultural extension programs to accommodate professionals from other fields. For instance, the role of women in rural agriculture cannot be underestimated. However, many rural communities in developing countries still view women in a bad light. Most women are limited to subsistence farming or other family chores. This problem does not really demand an agricultural extension officer with vast knowledge in pest control and management, agricultural economics or even agricultural marketing. This requires a person who has a depth of experience in gender studies. Agricultural extension education can be organized to exclusively discuss the roles of women in agricultural systems and other emerging gender related issues. Additionally, linking agriculture to ICT and other technologies is vital to achieving maximum impact. We expect agricultural extension officers to be well versed with the trending and emerging ICT innovations in agriculture. This means that an extension forum with farmers can be organized to exclusively discuss agricultural technologies including ICT. For the case of cultural beliefs versus agriculture, we might require a historian. For the community or people’s participation, we might need someone fluent in civic education. The rate of technological advancement in agriculture is at super speed. However, its adoption to win the heart of the masses at the grassroots is still a mystery. It is not about application of technology but the context in which it is adopted. Science alone won’t save the earth. In 2016, the county government of Kisumu introduced hybrid millet seeds. Locals referred to as white millet and nicknamed it Ranguma, the name of the then-Governor of Kisumu, who spearheaded its distribution to the people. The hybrid seeds died on arrival. People rejected it citing various reasons. One, that variety attracts weaverbirds. Secondly, most families in rural communities rely on two meals, and the bread prepared from that millet variety is too light to sustain them between meals, hence the preference for indigenous seeds, andiwo and serodo. This has made it difficult for extension personnel to evangelize the hybrid or modified seeds. The people have a strong perception that all hybrid seeds are defective. The same applies to rice farmers. We have witnessed the same trend with the farmers from West Kano and Ahero Irrigation Schemes. In our recently adopted strategy, as we plan to expand, GTN emphasizes recognition and revaluing of first-hand experience and approaches that re-affirm the indigenous, local, traditional and other knowledge systems. Again, we plan to work with a network of youth agro-champions to educate the public and dispel some of the false fears. The county governments and agricultural research organizations in Kenya are extension’s closest institutional partners in technology generation and transfer. However, they are facing myriad challenges in delivering their services effectively to the thousands of farmers that rely on their services. The challenges include lack of financial resources, acute shortages of well-trained extension personnel, lack of farmer feedback to ensure relevance of research results and inadequate research facilities and equipment. Poor linkages between research and extension are major constraints in technology flow at the grassroots communities. The linkage problems are of two basic types: those affecting feedback from farmers to research and extension and those relating to co-ordination and co-operation between research and extension. In both cases, the problem is due to lack of proper strategies and adequate resources for linkage tasks. Extension programs should extensively rely on existing research findings or, if possible, commission a survey to analyze grassroots realities: socio-economic factors, literacy levels, government policies, the number of farmers, demographic composition, socio-economic factors, agro-ecological factors and religious beliefs and differences. For instance, extension workers experience difficulties in transferring their messages due to some cultural practices. In some communities, young people are not expected to openly talk about sexuality. It is also a tall order for young extension officers to lecture old farmers against gender based violence or gender equality. Men are expected to be at the top, naturally. GTN has been relying on the feedback we get from some farmers and youth groups. We are inviting supporters to help us carry out peer-to-peer research we plan to undertake, but we lack financial input. We also welcome researchers to join us in this revolution. Even in rural areas where a majority of youth are jobless, youth still shy away from agriculture. Extension education is largely attended by older farmers. Youth creativities, curiosity, energies and freshness are needed to reshape agriculture extension. Little effort has been made at the grassroots level to lure youth into agriculture. Dealing with youthful farmers has incredible success and is a key strategy in GTN’s initiatives. Agricultural extension programs should focus on working with youthful extension officers even it means training local youth as extension agents. With the community, GTN has contracted a strategic large tract of land to establish GTN Model Youth Farm & Agro-Hub. This is to ensure that agricultural extension goes beyond advocacy. This is in line with our broader objective to facilitate community voice, collective learning, wisdom dialogue, farmer-to-farmer learning, grassroots social movement forums, participatory farm research and youth leadership. Upon getting potential partners, this hub will transform the regional state of agriculture in terms of production, extension, market, research and technology adoption relevant to local needs. The role of woman in agriculture is still not appreciated by the rural communities, which still bypass them in commercial or expertise farming. GTN designs a gender-responsive initiative to ensure that no one is left behind in this brewing rural agricultural revolution in Western Kenya. GTN views food as a common good, not a commodity. We investigate how belief systems, laws, governance and civic engagement can be integrated into our strategy to end food poverty. We consult with locals, who are our main stakeholders. We also consult with local opinion shapers, local authorities and county government representatives. For example, the steering committee of the yet-to-be-piloted project is 70 percent occupied by locals, with the assistant chief as its chairman. Again, there is a need for a bottom-up approach. This challenges us to see food issues from different angles. The winds of change are blowing at the grassroots. Politically, Kenyans are extremely enlightened. The majority of Kenyan farmers are smallholding. They always insist on being involved in the ongoing conversations on food systems. I have witnessed a situation where government agencies and other development partners opted to donate some hybrid seeds. People took the seeds and kept them. They then sowed the indigenous ones. Change is actually in the mind. We have to focus on changing the mindset rather than imposing issues on them. They know how to resist, directly and indirectly. Since the beginning of 2018, the winds of agroecology have been blowing so fast across the grassroots villages. It is catching fire day by day. When it comes to the politics of food, the common man seems to trust local activists more than some government agencies. It is against this background that GTN realigned some of our strategic priorities to accommodate such realities. Though still humble, GTN approaches are guided by young experts-by-experience. Based on peer-to-peer experience, all our designed projects accommodate input from professional experts and the everyday experts for deeper and authentic insights. Sustainable food systems can no longer be exclusively achieved inside lecture halls or research towers, but rather in a process of dialogue with grassroots activists, opinion leaders, youth and women whose perspectives are essential, hence, forming formidable grassroots movements. GTN plans to admit more youth drawn from all the wards across the counties, starting with Kisumu and Homabay counties. These youth agro-champions are instrumental to GTN planned initiatives and aligned to agricultural production, extension, policies, research and innovations. These youth agro-champions will refine agriculture extension, and some of them will be trained as agricultural extension agents working closely with extension experts whom the project will bring on board. This will facilitate feedback and solve the series of challenges that currently face agricultural extension programs, like an insufficient number of extension officers, language barriers and other cultural aspects. The ongoing brewing revolution on food systems at the grassroots is spearheaded by passionate activists, currently forming movements. People are concerned about holistic agriculture which is climate-smart. When it comes to food systems, people seem to trust the local activists who champion their narratives. Extension officers and other agencies advancing the counter narrative find it rough. Movements move government policy, not the other way around. That is why GTN is mobilizing youth agro-champions who are drawn from villages to advance our narrative. According to FAO, the agriculture sector employs more than 40 percent of the total population and more than 70 percent of Kenya's rural people. The terrain on rural agriculture in Kenya is shifting very fast. It is worth noting that societies are pushing for resilient food systems based on social and ecological diversity, human rights, justice, inclusive democracy and active forms of citizenship. According to Tegemeo Institute, smallholders' roles in Kenya’s agriculture have increased to the extent that they account for approximately 60 percent of the marketed production. In both cash and food crop production, small-scale production systems predominate. Multinational companies that account for a large proportion of production and market dominate the tea and horticulture industry. Policymakers and development agencies have to listen to feedback from the ground and realign their strategies to capture these grassroots aspirations lest they are caught flatfooted. They should learn to learn, unlearn and relearn. They need to contextualize their broad strategies. Yes yes. We have to revolutionize agriculture at the grassroots. Time is now. It's the youth to lead in this new revolution. Let's mobilize and organise our youth to ensure we achieve it. The paper is open for review. Any interested person, group or body is encouraged to do so.